The IFC_1211, a 6U VME64x highly configurable Single Board Computer featuring embedded FPGA capability and VITA 42.3 XMC, PMC, VITA57.1 FMC I/O expansion slots. The IFC_1211 is backward compatible with its P2020 based predecessor, the IFC_1210, providing highest computing power with hardware based FPU/ALTIVEC and high performance Xilinx Kintex UltraScale FPGA. The IFC_1211 integrates the latest generation of Freescale PowerPC QorIQ processors. The T2081 provides quad dual threat core capability running up to 1.8 GHz with medium power operation (~14[W] Typ. @ 1.4GHz), and is complemented by large DDR3L System Memory (up to 4GBytes), non volatile memory NOR, NAND and multiple I/O capabilities such as dual 1000 Base-T Ethernet. 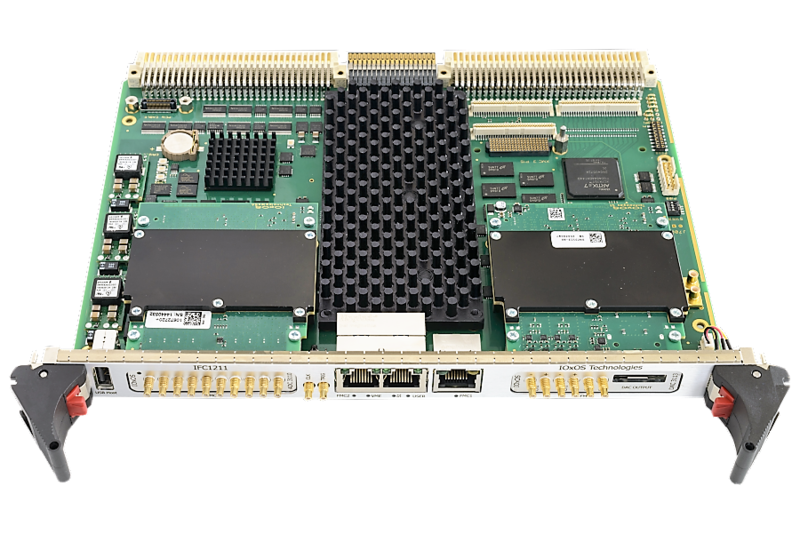 The on-board Xilinx Kintex UltraScale FPGA implements a high performance Network on Chip (NoC) switched interconnect. This NoC architecture provides a non-blocking, controlled low-latency and high- throughput bandwidth interface between the data producer and consumer. TOSCA III, a comprehensive FPGA Design Kit is available for the development and integration of custom applications. The IFC_1211 features PCI Express to VME64x Bridge (code name ALTHEA 7910). 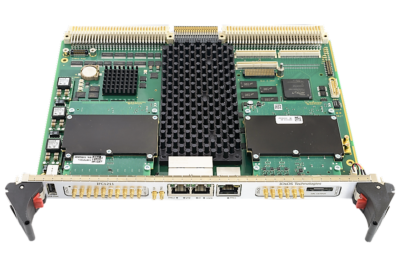 This field proven FPGA based solution supports all Master/Slave VME64x modes of operation with Slot_1 System Controller function, and also guarantees the long term availability of the board as a result of not depending on already obsolete third parties VME interfaces.